Are telehealth kiosks the next big thing? The Mayo Clinic is experimenting with an intriguing new way of delivering health care to employees via a kiosk that connects the patient to a physician by video conference, over a secure, online link. 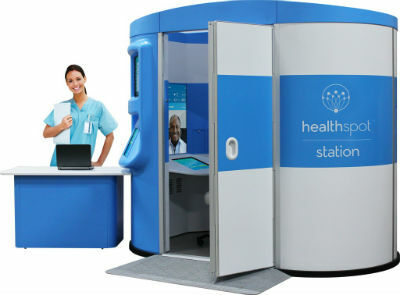 The Mayo Clinic is experimenting with an intriguing new way of delivering health care to employees — via a kiosk that connects the patient to a physician by video conference, over a secure, online link.